It is selected from tender Oolong tea leaves, and scented with Jasmine petals. 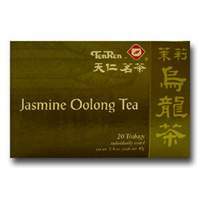 Take a cup of jasmine Oolong tea. Not only enjoying the unique taste, but also the fresh jasmine aroma.